Detail of the added RAM. Note This model was released to avoid a Spanish tax for any computer with 64kb or less memory that didn't have a Spanish keyboard. 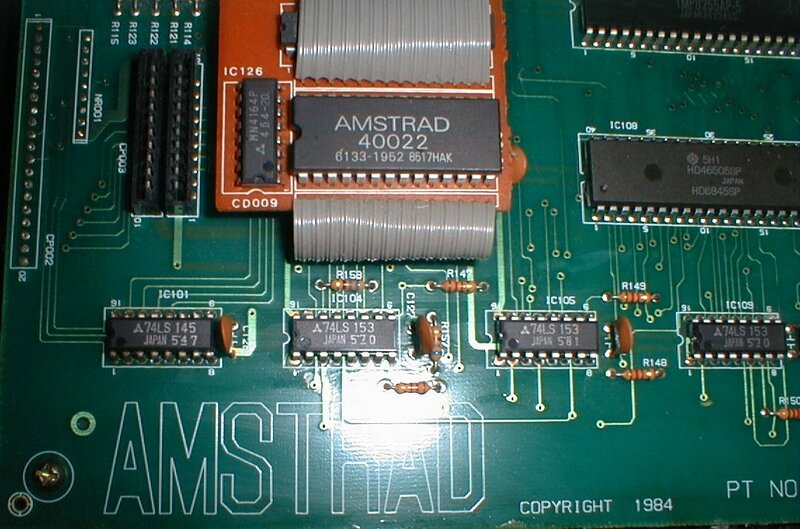 Then was released a enhanced CPC with a memory of 72kb and without a specific Spanish keyboard version. But shortly after that, a new law was approved and avery computers sold in Spain must have a Spanish keyboard. So there are two version of the 472, one with the English keyboard and the other with the Spanish one.